Which among these magnificent oil paintings por Leonid Afremov is your favorite? Does tracing imagens count as stealing? How do you think line creates a different feel to a work of art? tomorrow is April 15th and it's your birthday, 566 years for which we wish you the most sincere wishes, but you tell us once and for all which was your first painting and how many did you actually do, tell us if you really hides a mystery behind your Mona Lisa, tell us her name, tell us about the Salvator Mundi, if you know it and if por chance some of your brush strokes really touched it, tell us even if Isabella D 'Este could never see her portrait ordered to you, finally tell us if the Beautiful Princess was really your work or counterfeiting of an English counterfeiter. Voting on Fanpop's Got Talent for this ano has already began. Please support the participants with your vote !!!! 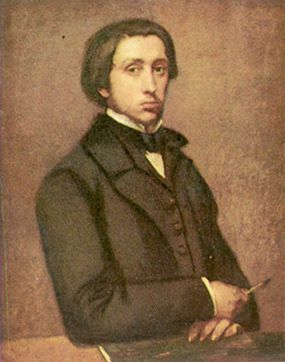 Which of these paintings is por French Impressionist artist Edgar Degas? Who is your favorito painter ? Hey, have you ever heard of painting por numbers?